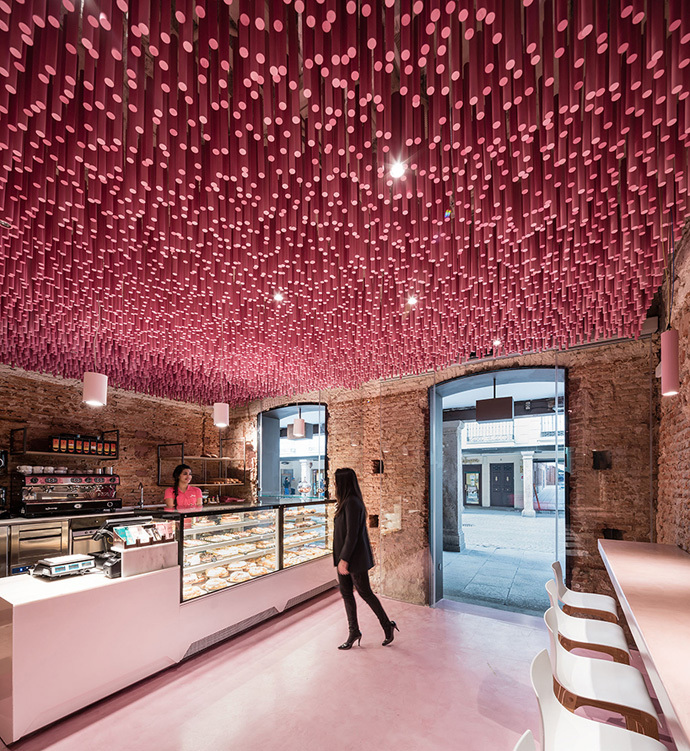 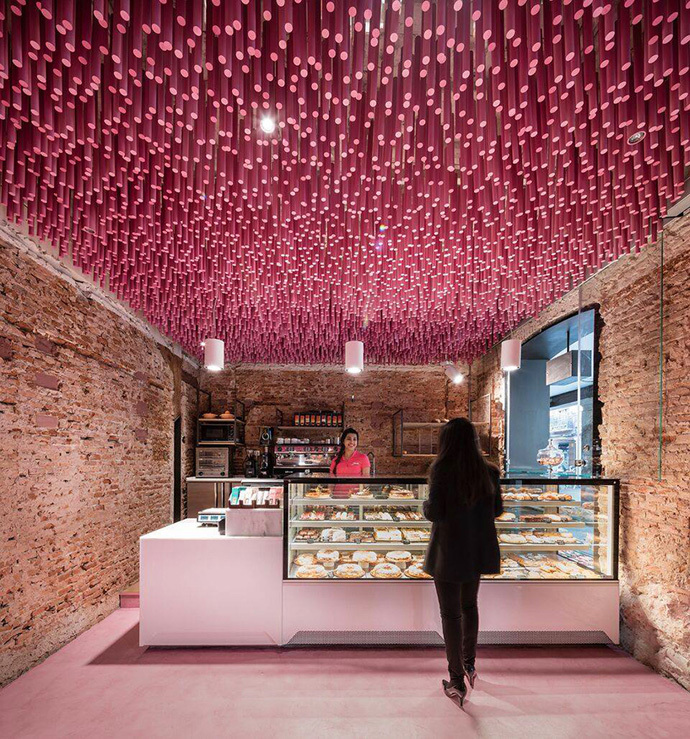 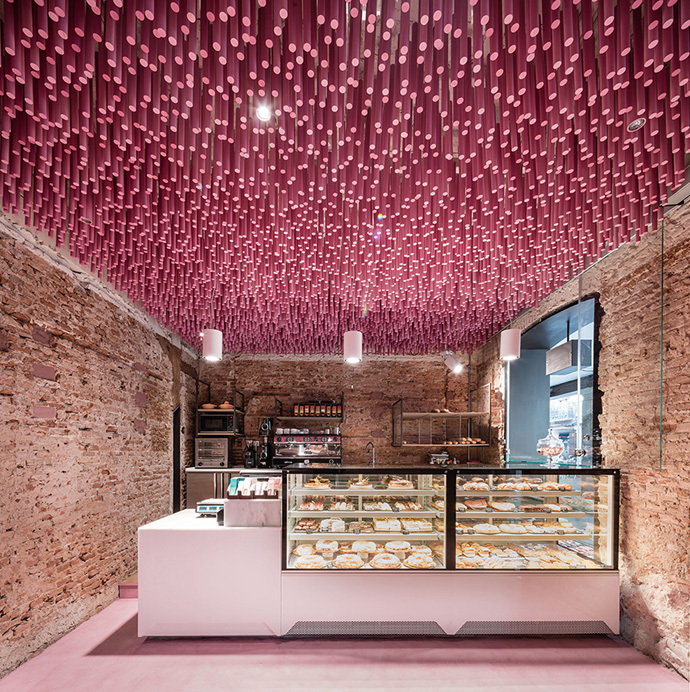 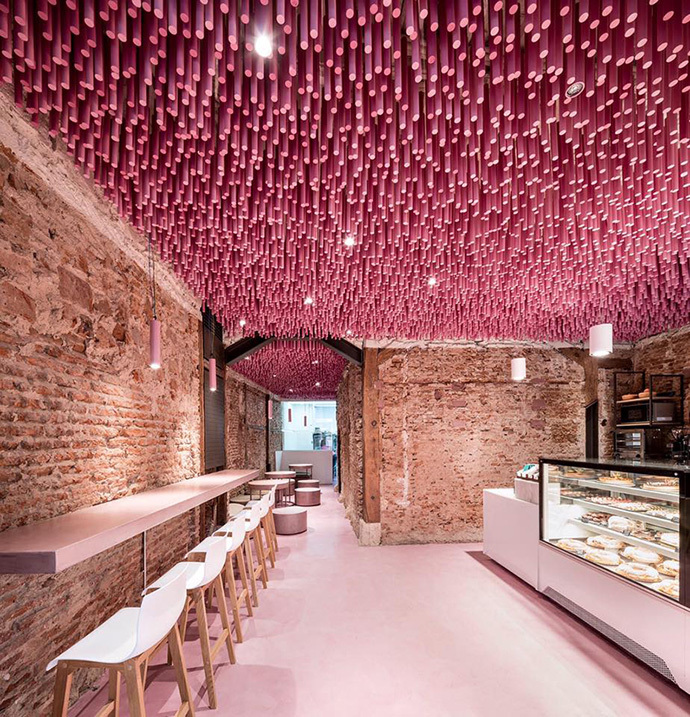 A pastry shop in Madrid has been transformed into a magical space by IDEO Arquitectura. 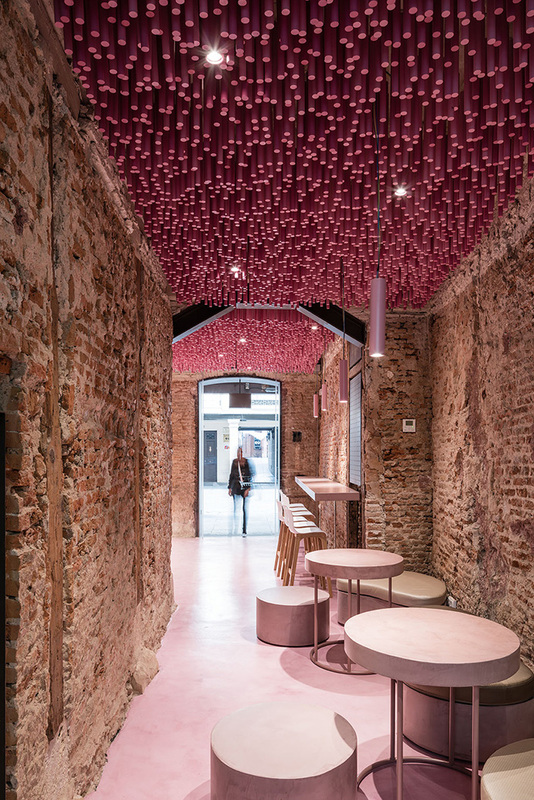 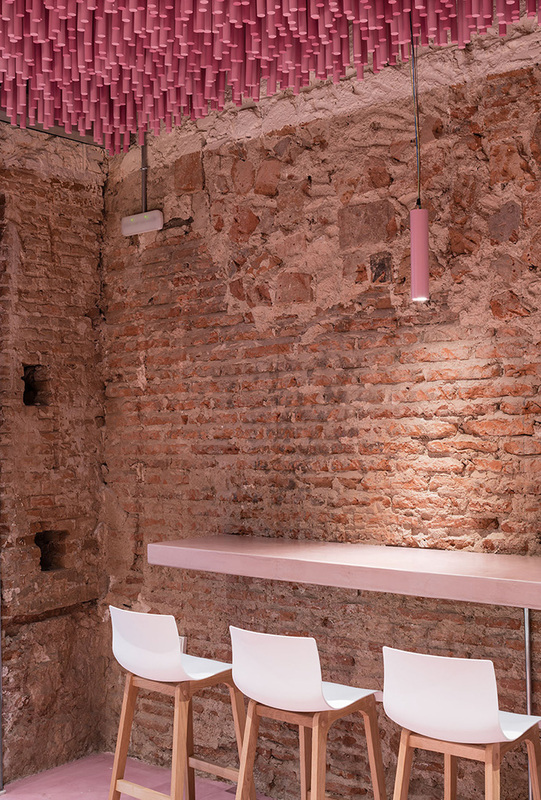 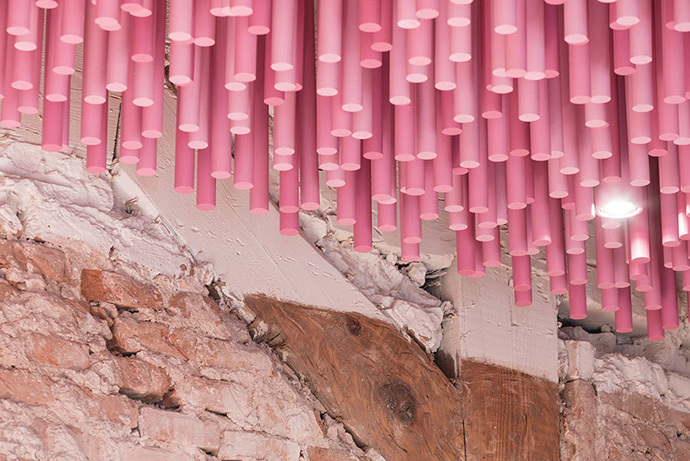 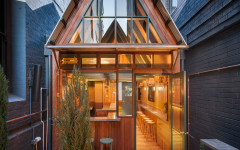 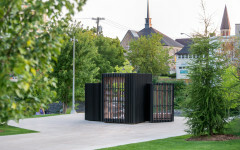 Both the original structure and the brick walls of this 150-year-old building were maintained throughout the project, with the addition of the over 12 000 pink painted sticks covering the ceiling. 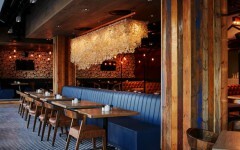 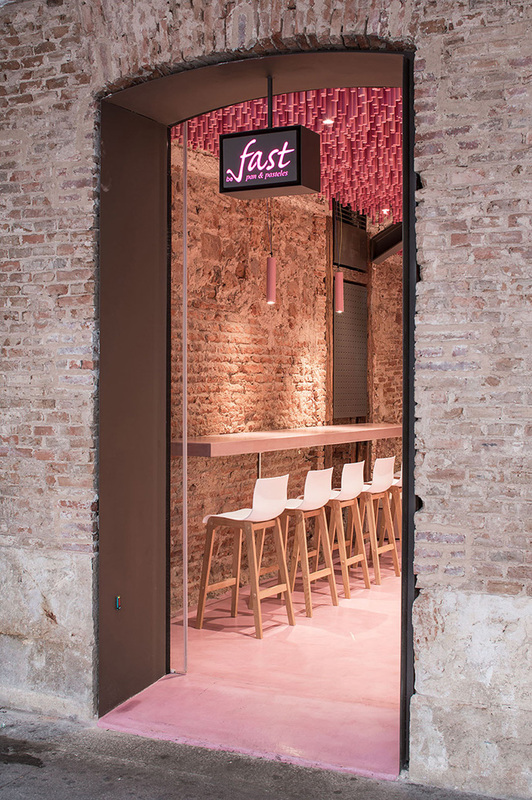 Pink bar seating and stools run along one wall of the shop opposite a shiny glass confectionary counter. 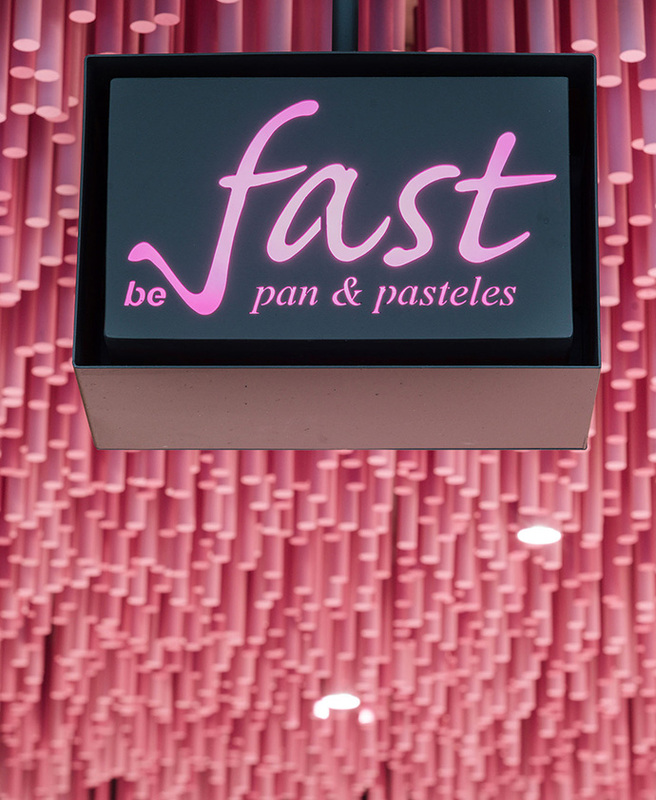 The store, Pan y Pasteles, had only one requirement to use pink as their brand identity, which gave IDEO Arquiectura the freedom to get creative and push the boundaries of the space design.